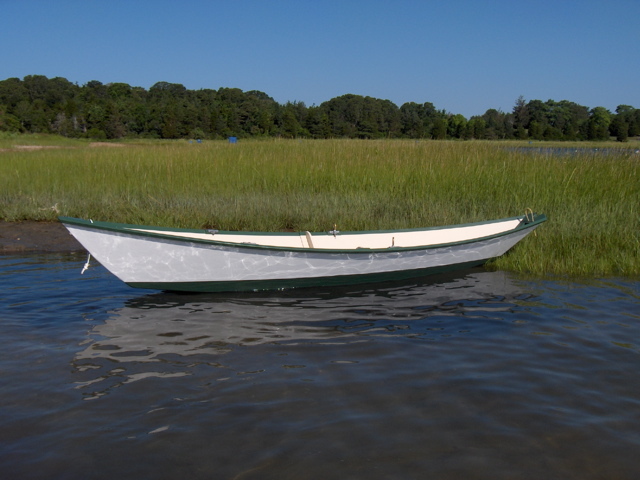 Carl Sylvester built this 15′3″ Gloucester Gull dory as an economy boat using fir marine plywood on pine frames. He fiberglassed bottom of the hull designed by Phil Bolger and Dynamite Payson. The interior is covered with latex paint, while Carl put a coat of single-part polyurethane on the exterior. 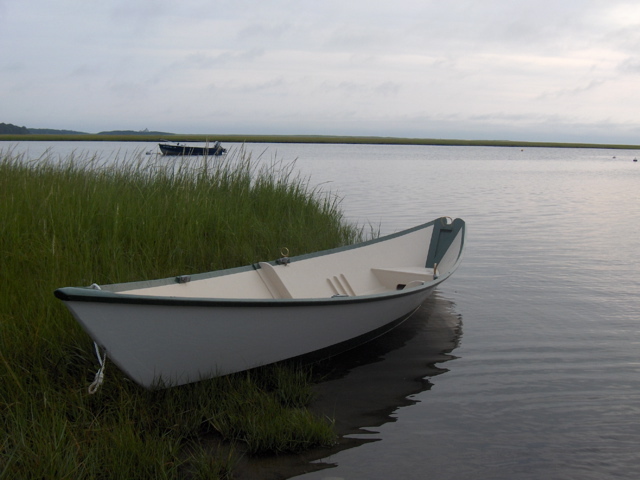 You can find out more about building this boat in Dynamite’s book, Go Build Your Own Boat!, available from The WoodenBoat Store.